Occupational therapist and postdoctoral fellow Skye Barbic says our current understanding of mental health recovery on Vancouver’s Downtown Eastside is too narrow. To outsiders, it’s often referred to as the poorest postal code in Canada. But to those selling on its streets and walking the halls of its single room occupancy hotels, Vancouver’s Downtown Eastside is home. Over the years, hundreds of agencies and housing sites have sprung up to support residents living in the area — many of whom are poor, drug-addicted and face severe mental health challenges. But until now, few have asked what recovery means to those living with severe mental illness in the area. And while securing a job, a home, and living drug-free may certainly be part of the equation, one UBC postdoctoral fellow says our current definition of recovery for this patient population is far too narrow. “For many, recovery means living in the community, but when you dig a little deeper, and talk to the individuals living in the area, recovery means much more,” says Skye Barbic, who moved from Ontario to join UBC as a postdoctoral fellow last fall. As an occupational therapist by trade, Dr. Barbic aims to bring a patient-centered approach to her work in mental health rehabilitation. Today, she’s one of a growing number of Canadian occupational therapists in the field of mental health. 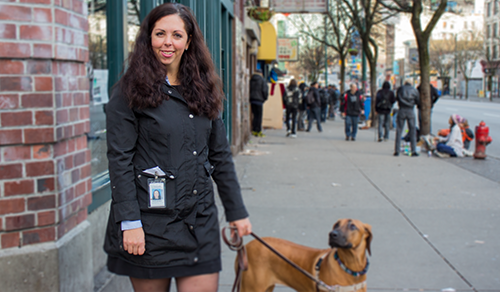 Over the course of her two-year fellowship at UBC — the first to bridge the Department of Psychiatry and Occupational Sciences and Occupational Therapy — Dr. Barbic will work to uncover what really constitutes a “good outcome” for, and according to, people living with severe mental illness on the Downtown Eastside. Skye Barbic’s dog and research companion, Sunshine. But getting to the bottom of what recovery really means, and understanding the unique mental health rehabilitation needs of this patient population, is no small feat. It involves getting to know the community at an intimate level, which is why, on any given day, you’ll find Dr. Barbic meeting with service providers, chatting with local business owners, or drumming up conversations with residents in the area. As a native of Quebec, and having lived most of her professional life in Ontario, Dr. Barbic admits that building ties in the new community wasn’t easy at first. “In the early days, no one would talk with me,” she recalls. 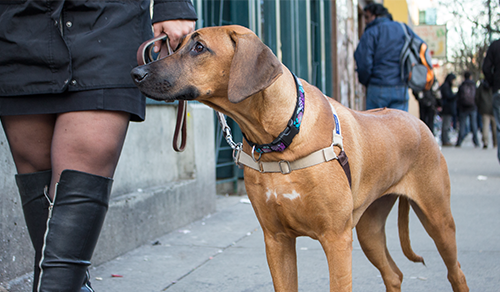 That communication gap has dramatically shrunk, thanks to Sunshine — Dr. Barbic’s slender, ridgeless Rhodesian Ridgeback. With Sunshine by her side, it’s only a matter of minutes before residents stop to ask Dr. Barbic about the breed — and what starts out as a casual conversation often transforms into a more meaningful dialogue about key issues, like housing and employment. “After I started bringing my dog to work, I’ve had no problem — now everyone wants to talk,” she says. Dr. Barbic will also dig deeper into the issue of recovery by analyzing existing data from an ongoing study tracking tenants of single-room occupancy (SRO) hotels in Vancouver’s Downtown Eastside. Dr. William Honer, Head of UBC’s Department of Psychiatry and senior author of the Hotel Study. 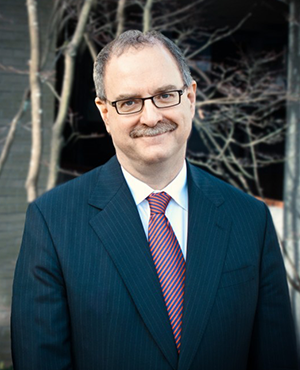 Led by William Honer, Head of the Department of Psychiatry, the Hotel Study has helped to shed light on the health problems of people living in SRO hotels. Findings published in the American Journal of Psychiatry in 2013, for example, revealed that 95 per cent of SRO tenants surveyed had substance dependence, two-thirds were involved in injection drug use, and nearly half of the participants suffered from psychosis. As an occupational therapist, Dr. Barbic will bring new perspective to the Hotel Study, assessing the unique rehabilitation needs of individuals living in SROs — a task that will require Dr. Barbic to sift through upwards of 300,000 evaluations. “In most studies, you have evaluations every six or twelve months, but this data was collected every single month for five years. With 400 people involved in the study, the data is enormous,” she says. Fortunately, mountains of information don’t deter Dr. Barbic, who is no stranger to the world of academia. After completing her clinical training at Queen’s University, Dr. Barbic went on to pursue her PhD (in health measurement) at McGill University. As the senior author of the Hotel Study, Dr. Honer says he’s excited to have Dr. Barbic on board. 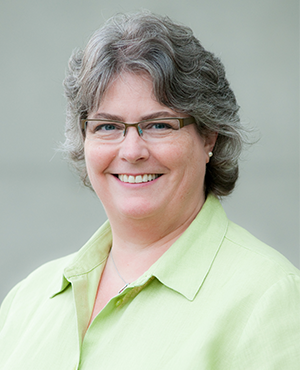 Dr. Catherine Backman, Professor and Head of UBC’s Department of Occupational Science & Occupational Therapy. For Catherine Backman, Professor and Head of the UBC Department of Occupational Science & Occupational Therapy, Dr. Barbic’s arrival couldn’t have come at a better time. “There is a huge need for community mental health services and systematic research to help us identify effective approaches to improve health and support people to engage in the routines and activities of everyday life,” says Dr. Backman, who, alongside Dr. Honer, will be serving as Dr. Barbic’s mentor over the next few years. 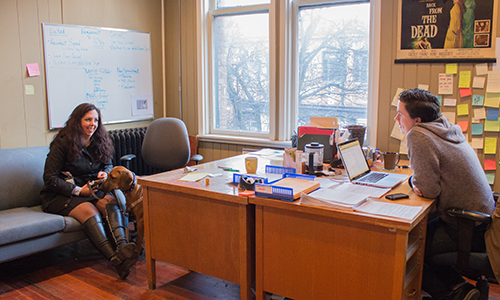 When it comes to applying her research on mental health rehabilitation to the ‘real world’, Dr. Barbic has big plans. To begin, she’s already started to customize a unique assessment tool, known as the Personal Recovery Outcome Measure (PROM), used to chart an individual’s progress in overcoming mental illness. The tool — which represents Canada’s first comprehensive measure of personal recovery for people with serious mental health conditions — was first developed by Dr. Barbic while she was completing a postdoctoral fellowship at the Centre for Addiction and Mental Health in Toronto. Unlike other assessment tools that define and measure mental health recovery along a basic trajectory from sickness to health, Dr. Barbic’s PROM looks to bring the patient voice forward, measuring recovery as it understood by those with severe mental illness. It was during her time in Toronto that Dr. Barbic realized her tool had the potential to reshape the “trajectory” of recovery altogether. In Vancouver, Dr. Barbic will be customizing the tool so that it can be used to more effectively assess mental health rehabilitation among individuals on Vancouver’s Downtown Eastside, a group she says represent a distinct subset of people with severe mental illness, given the high rate of addiction. Dr. Skye Barbic seen speaking with a colleague about the Personal Recovery Outcome Measure. Long-term, Dr. Barbic hopes that her tool will have important clinical implications. “While the Personal Recovery Outcome Measure is never going to be like a blood test, which can give you very precise information, the tool can give us important insight that we can use when talking to patients, care-givers, and other health care practitioners,” she says. In addition to seeing her research inform clinical practice, Dr. Barbic is keen to bring her findings forward to help inform policy-making and impact how mental health services are delivered in Vancouver’s Downtown Eastside. Dr. Barbic recognizes that change will not come overnight. Yet, with the help of a little Sunshine, the conversations are bound to open up, and, with time, the voices of those who call the Downtown Eastside home may help create a new roadmap for navigating mental health recovery. Dr. Barbic’s postdoctoral fellowship is jointly funded by UBC’s Department of Psychiatry, Occupational Science and Occupational Therapy, and St. Paul’s Hospital.